Today’s Trivia Question: Venus played her first French Open in 1997. Who’s the only other active player who was in the women’s draw that year? 1. The second round wraps up today! 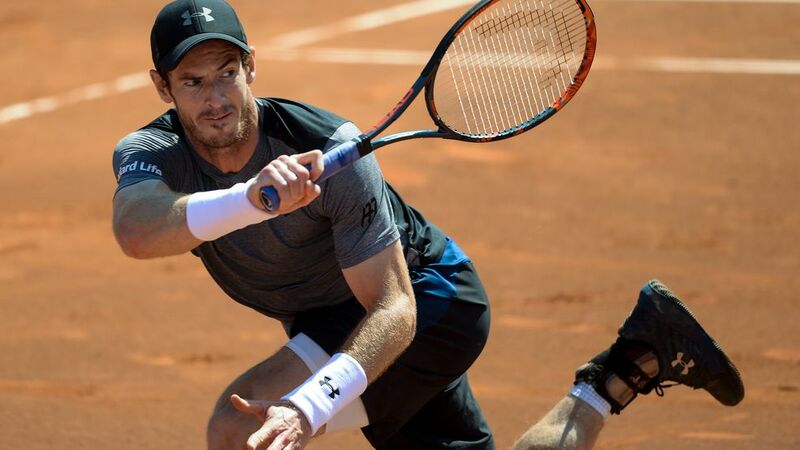 The top half of the men’s draw, highlighted by the World No.1, Murray, and the bottom half of the women’s draw play their second round matches on Thursday. 2. Murray has won 39 second round matches in a row at majors. Overall, he’s 40-1 in his career in second round matches at majors, the only loss coming against Clement at the US Open in 2005. 3. If Murray and del Potro win today, they play each other. If the No.1-seeded Murray beats Klizan and the No.29-seeded del Potro beats Almagro, they’ll play in the third round. Murray leads the head-to-head, 6-3, but they’re 1-1 on clay - and del Potro does have eight career wins over World No.1s. 4. Isner’s trying to join Johnson in the third round. If Isner can get past Lorenzi and join Johnson in the third round, this will be the fifth year in a row that at least two US men reach the last 32 in Paris. 5. Wawrinka’s facing one of his toughest match-ups. Dolgopolov has beaten Wawrinka in two of their three previous meetings, including their last one at Miami in 2014. Wawrinka was No.3 then, too. 6. Kyrgios is looking for revenge too. His opponent, Anderson, won their only previous meeting in Chengdu, China last fall, 3-6 7-6(6) 6-2 - and Kyrgios had double match point up 6-4 in the tie-break. 7. Keys hasn’t lost this early at a major in a while. She’s reached at least the fourth round at the last six majors she’s played, and she’s reached at least the third round at the last eight majors she’s played. The No.13-seeded American plays Croatian qualifier Martic in a second round match today. 8. Pliskova and Halep continue their quest for No.1. Pliskova will take No.1 from Kerber if she reaches the final and Halep will take No.1 from Kerber if she wins the title. They’re both in action today. 9. Bonne Fete Justine! Justine Henin, a four-time French Open champion, turns 35 today. 10. The third round kicks off tomorrow. The bottom half of the men’s draw, which includes Djokovic and Nadal, and the top half of the women’s draw, including Venus, plays the third round on Friday. Yesterday’s Trivia Answer: The last time there were only two US men into the second round of the French Open was 2011: Fish and Querrey.